Well it starts with a wing...well duh. 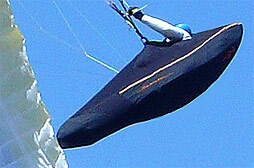 Its the largest piece of paragliding equipment and often the most misunderstood. 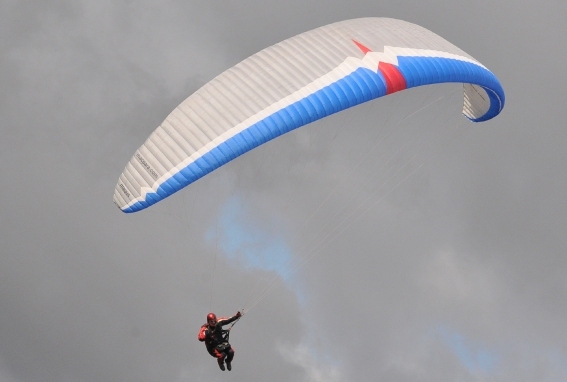 Paragliding wings vary remarkably in size, more subtly in shape and a lot in performance. Most notably, the safety of the wings decreases A LOT as performance increases. Many people rush out and buy older performance gliders (because they are cheap) and hope to learn on them. Thats a good recipe for a trip to the hospital or worse. The reason that they are cheap is that those who know, wont buy them. Paragliding gear has a limited life, remember that your life depends on the gear. Sunlight and the stresses of flying degrades the materials over time. In particular, the fabric which was almost impervious to air when it was new, becomes porous. The porosity affects the flight characteristics, and eventually the wing becomes unflyable. Performance gliders are just that FOR HIGHLY EXPERIENCED paraglider pilots only. The newer beginner gliders perform very well, and have excellent safety. Notice the difference in aspect ration between a beginner paraglider and an advanced high performance paraglider above. There have been various safety and testing systems over the years. DHV, AFNOR, LTF, DULV and EN. The most common ratings are the DHV for secondhand gliders, and the newer LTF, EN and DULV. Where to find used paragliding equipment. Beginners should aim for a DHV1 or LTF1 paraglider. Any deviation from this recommendation should only be made by a fully qualified and experienced instructor. 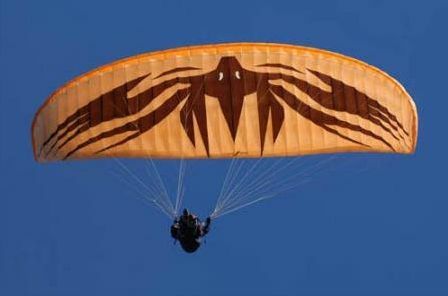 A paraglider wing will cost anywhere from $400(older second hand roughy) to between $2900 to $5000 for a brand new wing. Paragliding wings come in many sizes. The size needs to be matched to your weight. Not just your bodyweight, but your all up weight with harness, reserve, backpack,flying clothes, boots, water, radios etc. After all, all that stuff is dangling off the lines. Some instructors also include the weight of the wing itself(because the wing also supports itself in flight). To give you an example, I weigh about 80kg(176lbs) My all up weight with all the gear is 103kg (225lbs). Get(maybe borrow) gear and get on some scales before rushing out and buying a wing. 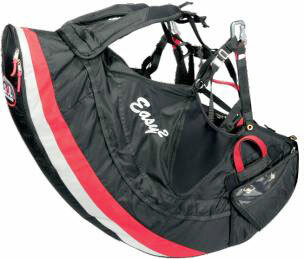 It is also best for your all up weight to be in between the middle and the top of the weight range of a paragliding wing. The very cheap second hand harnesses again are usually the old ones with no back protection, or lightweight harnesses, again for very experienced pilots who do serious trekking with their gear. It is a common misconception that a groundhandling harness does not need back protection. THIS IS DANGEROUS! Once you have done your paragliding course, you will become aware that you can (and frequently do) get lifted off the ground during paraglider ground handling practice. A hard return to earth without protection can result in a serious back injury. Harnesses should also be fitted with some pockets that are accessible in flight for drinks, snacks, radios, safety gear etc, a storage section for your backpack, and a reserve parachute container. There are several connecting systems for connecting the paragliding wing to the harness. The conventional and most popular carabiner system, and the Charly branded SIL(safe lock in system) both have advantages and disadvantages. Variations on the harness include a boot which covers your legs and the speed system. This improves aerodynamics and keeps you warm when flying in cold conditions. Remember, it might be warm on the ground, but at 10,000 feet it can be very cold. 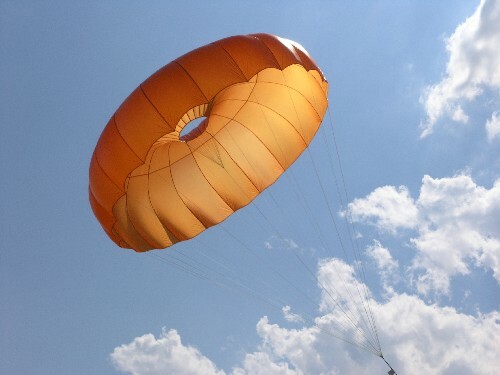 The next most important bit of gear for paragliding is the reserve parachute. It performs the function of a second chance should something go wrong with your main wing. Once you start gaining proficiency, you will start flying high. It is a very good policy (I consider it mandatory) to carry one of these for the unlikely event of a system failure/unrecoverable collapse/entangled lines, colision etc. For high performance gliders(which collapse much more easily) some pilots carry 2 reserve parachutes. The style of these is personal preference. They are usually round, some with a pulled centre, and most cannot be steered in flight. These chutes have a limited useable lifespan, as exposure to sunlight(even in the bag) and degradation of the bag means that they require replacement every 10 to 20 years depending on regulations and recommendations of the governing body of the sport in your country. Essential piece of gear to protect the noggin. 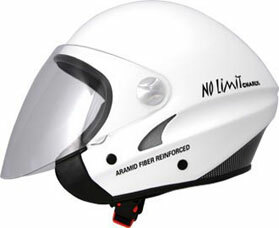 Full face or open face helmets are available depending on pilot preference. 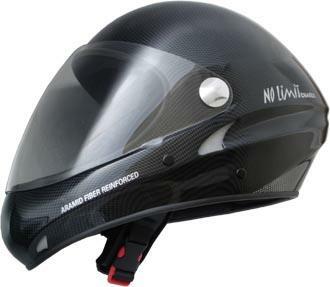 Many pilots use a good quality hard shell bike helmet, but it is recommended to purchase a dedicated fibreglass or carbon fibre helmet specifically for the purpose. These are a one knock item. Bump it hard and replace it! remeber youve only got one brain... Look after it. The next piece of essential gear is a variometer/altimeter. 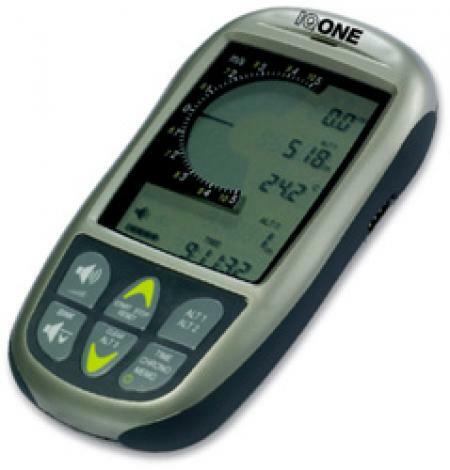 A Vario is used to determine your altitude, but more importantly your rate of sacent or descent. Are you rising or sinking. Most varios beep in two different tones depending if you are gaining altitude or sinking. This helps determine if you are flying in a thermal, and when you pop out of the thermal. This piece of equipment is also used by hang glider and glider(the airplane type) pilots. There is a host of additional and optional gear for paragliding which is required depending on where you are flying and the local weather and climate. Gloves- protect hands from the cold and potential line burns during ground handling. Hook knife or V-knife - for flying over or near water, to cut yourself free in case of water landing. Can be helpfull in other situation too. Boots - these should really be in the essential gear category. Good high boots to protect the paraglider pilots ankles. It also helps if they dont have protrusions that will catch on lines and possibly damage your gear etc. Radio - required if you go on longer flights, or during training so that your paragliding instructor can talk to you. Many pilots have a UHF radio to communicate with each other and VHF for flight services contact. Allways remember we are flying a real (albeit slow) aircraft. The information in this guide is of a general nature only. Paragliding is a potentially dangerous sport. Get professionally qualified instruction before buying any gear and flying. Your professional advice superceeds anything on this site. Everything you wanted to know about paragliding.